· "Growing Up In Pensacola"
· So, What's a Nice Girl...? · A Very Special Day! On March 15, 1965, addressing a joint session of Congress, President Johnson called for new legislation to guarantee every American's right to vote. Just wanted to remind our residents that we need to keep all valuables out of your cars at night & make sure you lock your vehicles due to theft in Heron's Forest on Wednesday night. My husband's car was broken into & the police said that we were the 4th stop in the neighborhood on Thursday. Also, get to know your neigbors & they will be aware of any suspicious people hanging around your house to help all of us with theft in the future. Forwarded for publication by Cyndi, 2/25/2012. Local author Charlie Davis will discuss his book, 'Growing Up In Pensacola’, at Southwest Branch Library, Tuesday, March 20th at 6:00 PM and Saturday, March 24th at 3:00 PM. Mr. Davis will have books available for sale and for signing. 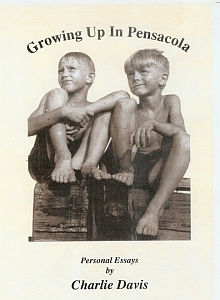 ‘Growing Up In Pensacola’ is a collection of humorous essays describing Mr. Davis’ experiences growing up in a large family in a small coastal community here in Florida during the 1930’s, 1940’s and 1950’s. Mr. Davis takes you through youthful summers, stories about boats and fishing, local politics and his love for family and community, all told in a style that is enjoyable and entertaining. For information about the book or the author visit www.charliedavisbooks.com. Southwest Branch Library is at 12248 Gulf Beach Hwy at Bauer Rd, across from Big Lagoon State Park. Visit www.pensacolacitygov.com/library or call 850-453-7780 for more information. Forwarded for publication by Cathy Ingram, 2/23/2012. So, What's a Nice Girl...? Local author Sandra Davis will discuss her book, 'So, What’s a Nice Girl Like You Doing in a Place Like This? Seoul To Saigon’, at Southwest Branch Library, Monday, March 5th at 6:00 PM and Saturday, March 10th at 10:00 AM. Ms. Davis will have books available for sale and for signing. ‘So, What’s a Nice Girl Like You Doing in a Place Like This? 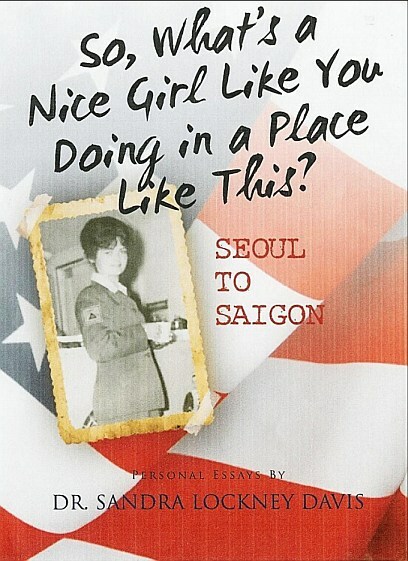 Seoul To Saigon’ describes Ms. Davis’ experiences as a young girl in the U.S. Army Special Services in Korea in 1964, eleven years after a war and in Vietnam in 1967 during the war. With both humor and candor, she shares her memories of the young, brave and fun-loving soldiers to whom she pays tribute. For information about the book or the author visit www.sandralockneydavis.com. Forwarded for publication by Cathy Ingram, 2/21/2012. Author Jim Albright will discuss his book, 'Last Guard Out: A Riveting Account by the Last Guard to Leave Alcatraz' at Southwest Branch Library, Saturday, February 25th at 1:00 PM. Mr. Albright will have books available for sale ($20) and for signing. 'Last Guard Out' is the fascinating true story of one man's life as a guard behind the merciless concrete walls of Alcatraz. For more information visit www.authorhouse.com. Southwest Branch Library is at 12248 Gulf Beach Hwy at Bauer Rd, across from Big Lagoon State Park. Visit www.cityofpensacola.com/library or call 850-453-7780. Forwarded for publication by Cathy Ingram, 2/16/2012. 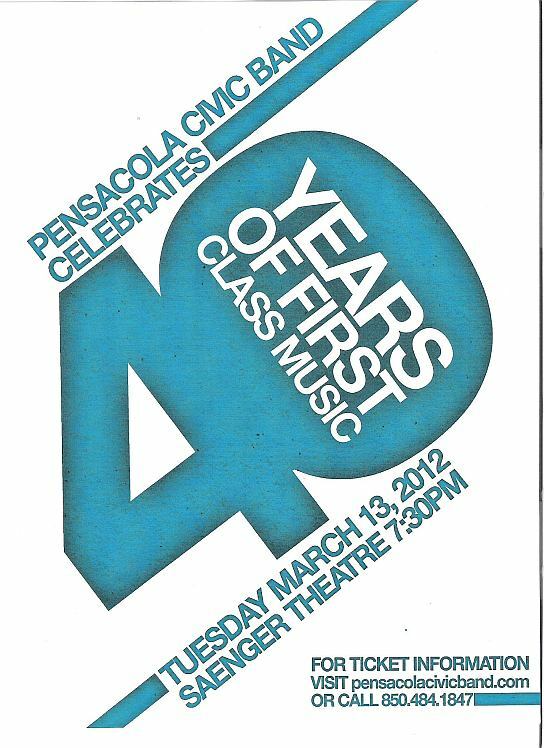 Celebrate 40 years of first class music with the Pensacola Civic Band. Our 40th Anniversary Concert at the Saenger Theater is packed with special guests and music. Conducting will be Maestro Peter Rubardt , Don Snowden and Stephen Pearce. Soloists include Richard Jernigan, clarinet, and Kadisha Onalbayeva, piano, and vocalist Holly Shelton. Also conducting will be Laurel Brownlee, one of the founders of the Pensacola Civic Band. Join us Tuesday, March 13th at 7:30 p.m. Tickets are $10 and are on sale at the Lyceum office at Pensacola State College beginning February 20 or at the Saenger on performance night. Tickets may be reserved by calling the Lyceum Ticket Office at 850-484-1847. The concert will feature several compositions performed by the Civic Band over the last 40 years including Washington Post March by Sousa, First Suite in Eb by Holst, Days of Wine and Roses by Mancini, Immer Kleiner by Schreiner, Phantom of the Opera by Barker, Resplendent Glory by Gallante, Someone to Watch Over Me and Rhapsody in Blue by Gershwin, 76 Trombones by Jennings, and Robin Hood: Prince of Thieves by Kamen. The Pensacola Civic Band 40th Anniversary Concert…we’re saving a seat for you. 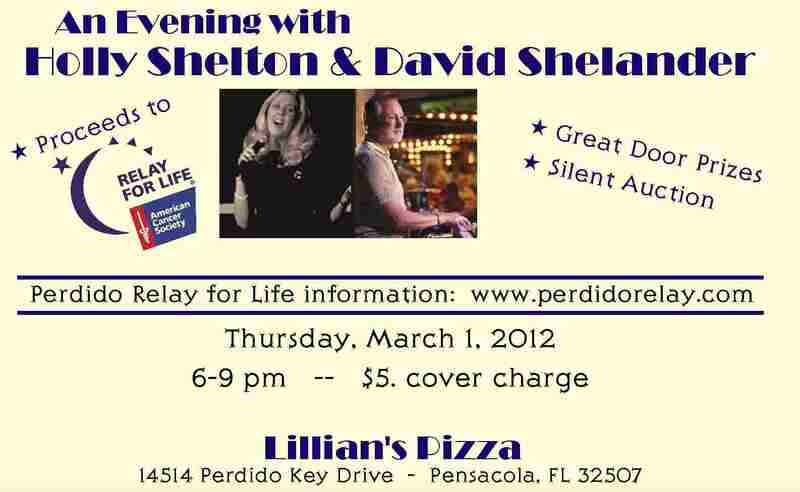 For more information, please contact Don Snowden at 850-484-1800 or email. 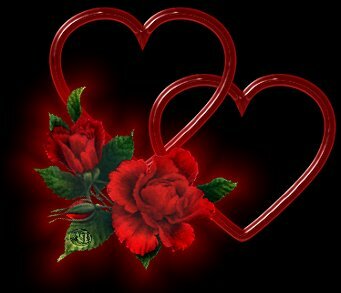 Forwarded for publication by Janet Puskar, 2/20/2012. The Friends of the Southwest Branch Library Foundation hosted a table at the February 9th Perdido Key Area Chamber of Commerce Snowbird Roost, held at the Perdido Bay United Methodist Community Center. Friends Board member & volunteer Mary Jo McLean recruited volunteers Jim & Mary Ayers, and Jeannette & Bill Phillips who greeted more than 500 winter visitors, who perused local vendors' wares and free offerings. Each family received Friends pens & pencils with Friends name & logo, coupons for $1 off any item purchased from the Boutique as well as the various flyers. For $2 a delicious hot lunch made by Chef Paul was served while local musician Joe Occhipinti provided cool jazzy music. Two lunch seatings were scheduled to accommodate the crowds, after which prizes were raffled; The Friends donated a Friends tote filled with promotional goodies as well as a few books from The Friends Boutique and various flyers containing information about the Friends, the library and library card applications. The next and last Snowbird Roost will be on Thursday, March 8th. For more photos of the Snowbird Roost, visit this link on the Perdido Bay UMC website . Forwarded for publication by Cathy Ingram, 2/15/2012. A note for a very special event next Saturday, February 18th? That will be the 70th anniversary of my parents, Don and Elsie Gault who live at 9920 Rail Circle. Mother frequently walks the “circle and pool route” if some have seen her out. They are not “computer people”, so maybe some of our Heron’s Forest residents might want to send them a card. Forwarded for publication by Lana Barker, 2/9/2012. Forwarded for publication by Cathy Ingram, 2/10/2012. Did you know that “abandoned dog poop can host diseases and /or parasites that can infect other dogs that come into contact with it, or be transmitted to people who accidentally step in it and track it home? Particularly at risk, of course, are children who play on the ground.” This information comes from animal resource coalitions who are very concerned about excrement being left behind. Our weather has been unseasonably warm so naturally we are outside more and walking our dogs. Please remember there are restrictions on dogs down on the Trout Point Navy base boardwalk – and that means no dogs. Dogs on the boardwalk could mean that we, the occupants of Heron’s Forest, could lose our privileges and access to the boardwalk. Any further questions should be directed to Etheridge Property Management at 484-2611. 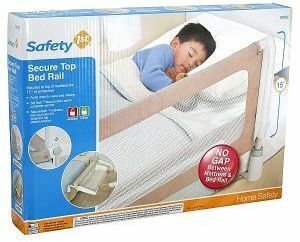 Forwarded for publication by Cheryl Pyle, 1/9/2012. · The articles listed above are "recent" or "standing notices"
Want to re-read an old news article? Articles you have read here are not erased. Instead, they are moved over to the left menu item Old news where they are arranged in chronological order with newest articles first, approximately. Lost in the forest? There is helpful information on this site for anyone new to Pensacola. Click the menu item at the upper left New resident information. Welcome! FYI - please inform the webmaster of move-ins so we can make new residents feel they belong here. Preformed Pond from Home Depot 220 gal. Free. . Contact Janell Quarderer 850-492-1605 or emailquardererk@bellsouth.net'>. 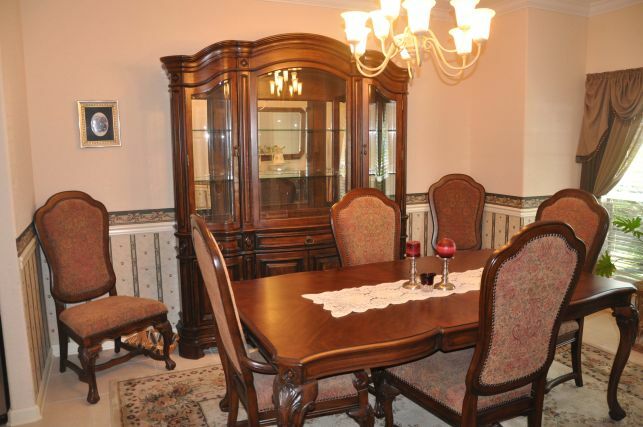 FOR SALE: Dining Room Set by Pulaski Furniture. 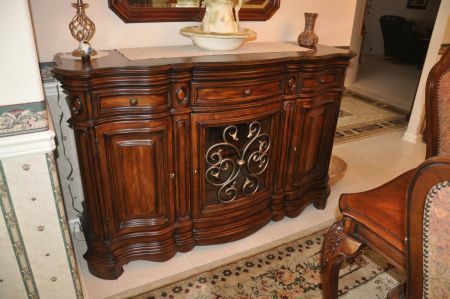 Includes dining room table with leaf, four side chairs and two chairs with arms, lighted hutch and buffet. New over $5,000. Used once and will sacrifice for $2,500. Please purchase prior to October 1st. Ray or Jan, 725-0882. 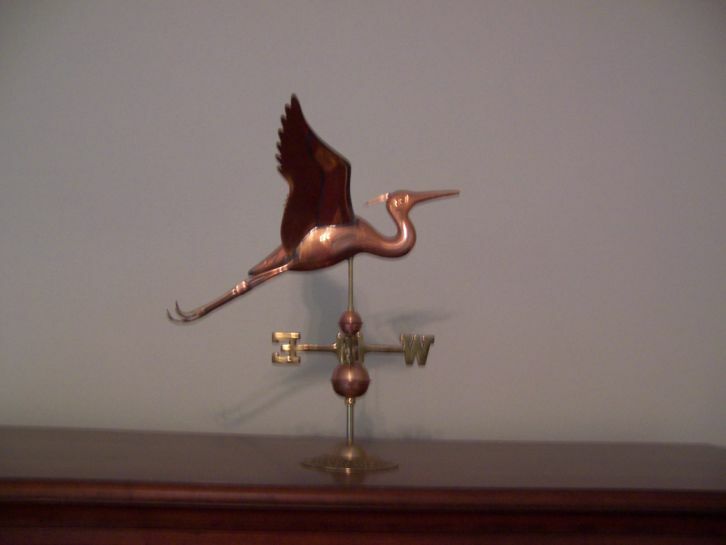 FOR SALE: a copper and brass weather vane, 18 inches tall, of a blue heron. $85. 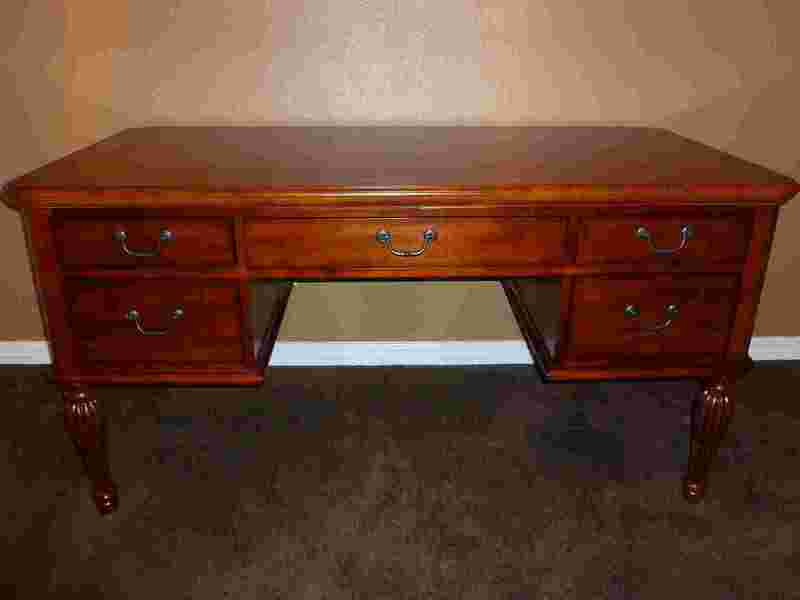 Carl Swickley 850 484 9595. Add your stuff to the lists above? 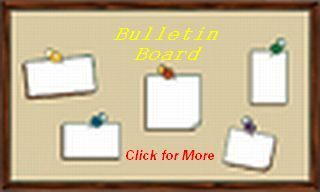 Long standing announcements are found here. If anyone needs paint, numbers or emblems for their mailboxes contact Shawn McLaughlin by phone, 492-1705, or e-mail. She will order them or get you the paint. I will assist in coping with daily tasks, streamline communication and prioritize important responsibilities. -Good telephone manner, excellent communication style, astute problem solving abilities, superb time management capacity, and first-rate organizational talent. -Duties will include, but are not limited to: writing letters, accepting invitations, creating agenda, event planning, house hold maintenance (I.e.-cleaning), and nanny responsibilities. - Due to the intensive nature of instruction, classes are appropriate for ages eight and above. Special consideration will be made for students under the age of eight if they meet behavioral and academic requirements. The HFPOA Board has approved a water aerobics class to be held Tuesday and Thursday from 10:00 to 10:45 starting 24 May. 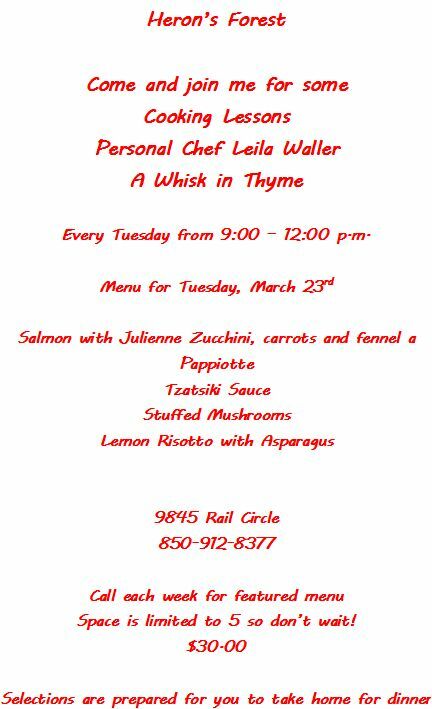 Joan Ferry will be conducting the class. 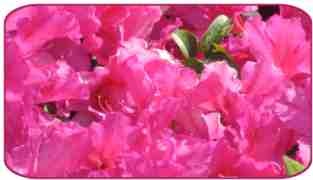 Anyone interested in learning about the care and pruning of azaleas and in getting a little 'hands on experience' please contact resident Terry Winters at 492-8029. Will come to your house for fitness assessment and personal training. Equipment provided. Master's degree in Exercise Physiology, experience with healthy and clinical populations. We are looking for a few neighbors who would like to get together once a month to play Bunco. 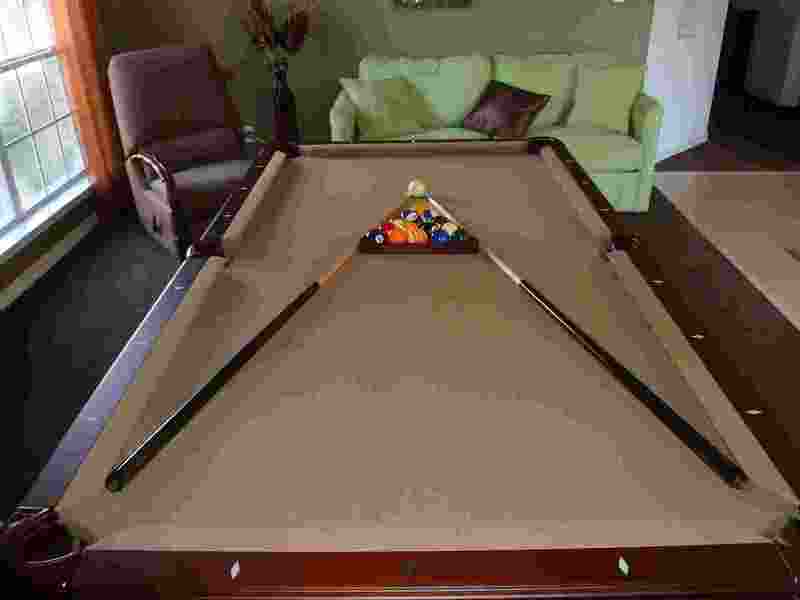 With a group of 12 regulars, we rotate holding the game so each person hosts it at their house one time per year. We each bring appetizers and desserts so no one has a lot of work to do. We have a lot of fun....and all you need to know is how to count to the number 6. No experience needed! We do have substitutes, but, we need a few more regulars. It's a fun way to meet your neighbors. 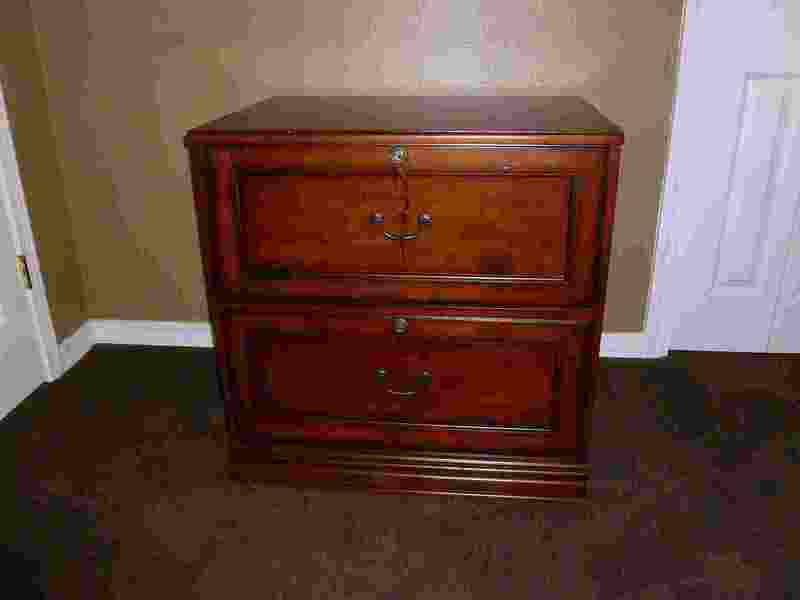 Please call Martha Young at 497-9511. Please feel free to add your name to the contact list below for resident families seeking part-time babysitters. Do so by informing Curt. If you are a sitter, please directly contact a family below and discuss their requirements. Tired of checking to see what’s new?